Here’s an easy way to make a lilac infused honey that can be used just like regular honey in recipes, drinks, etc. 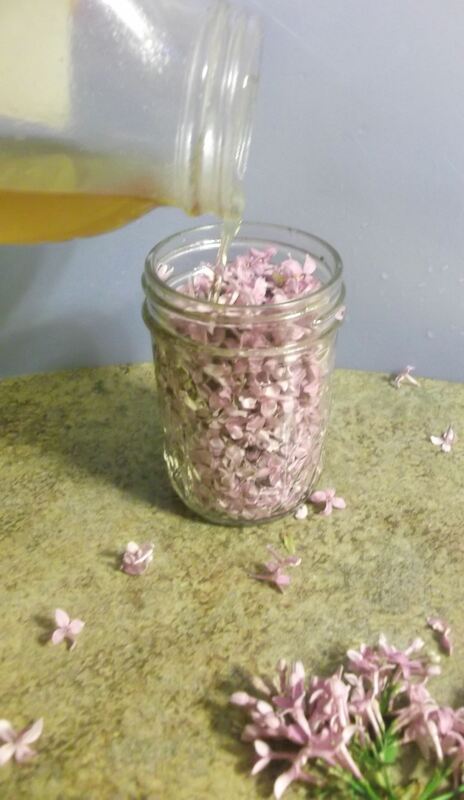 Pack a small (8 oz) Mason jar really tightly with the blossoms. Keep pushing them down, really pack them in. Now fill the jar with honey. Place the cap on the jar and shake well to distribute. The honey can be used pretty much any time: right away, the next day, or even later. The longer it steeps, the more lilac flavor will be infused. Use the honey just like you would normally use honey, petals and all. Enjoy!